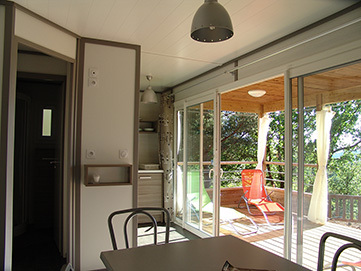 Our chalets "Prestige" are equipped with two bedrooms (1 double bed, 2 single beds, 1 bunk bed) and three bedroom (1 double bed, 2 single beds, 2 bunk beds), bathroom and separate wc, living room, fully equipped kitchen (halogen, fridge freezer, microwave, dishwasher ...) and a covered terrace integrated "type extra room." 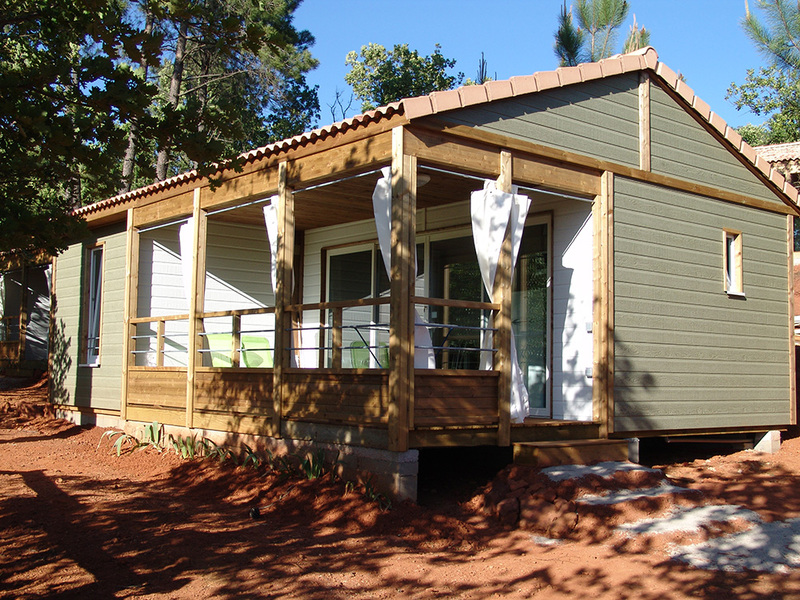 Our Holliday Houses of Provence, up to 6 people. 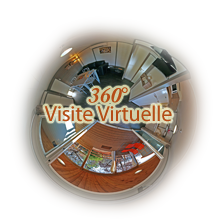 8 houses located on six hectares of oaks decorated, a large swimming pool (20m x 12m) are your best guarantee of serenity and relax. 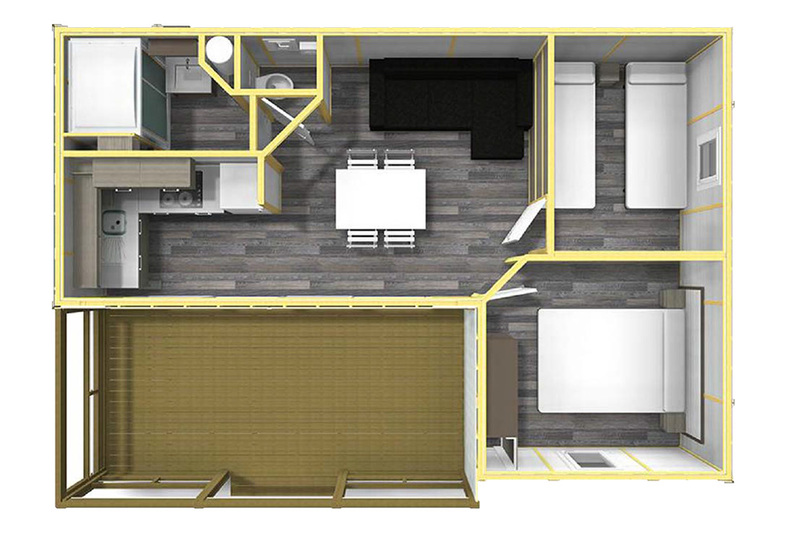 In each house, you will have a living room with a kitchenette, a double bedroom, a bedroom with two single beds or bunk beds and a bathroom with separate toilet. Our houses are equipped with individual central heating. Garden, private grounds and parking complete the services individually. From your terrace with pergola, you can rest in peace and enjoy the sweet scents surround you. 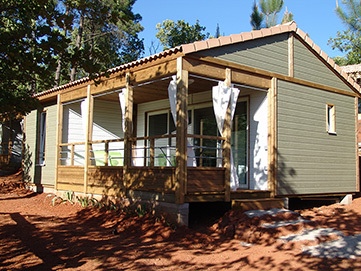 Our Mobilhomes "Provence" are designed for 6 people. 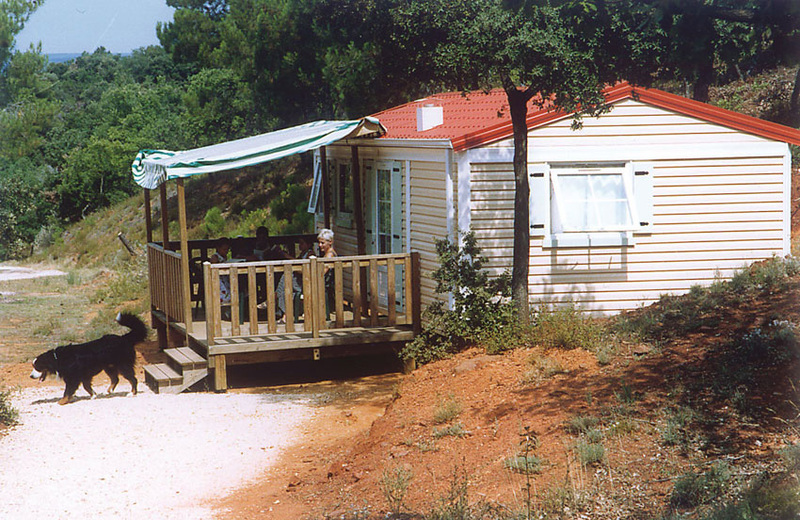 Ten Mobilehomes located on six hectares of oaks decorated, a large swimming pool (20m x 12m) are your best guarantee of serenity and calm. In each Mobilhomes, you will have a living room with a kitchenette, a double bedroom, a bedroom with two single beds or bunk beds and a bathroom with separate toilet. 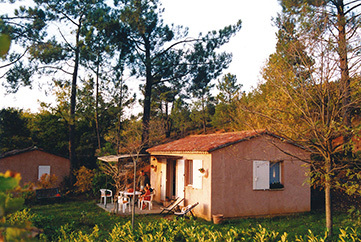 Real holiday cottages. They are also equipped with terraces with canopy.